If most of us remain ignorant of ourselves, it is because self-knowledge is painful and we prefer the pleasures of illusion. There is no bad day that cant be overcome by listening to a barbershop quartet. This is just truth, plain and simple. The traveller's-eye view of men and women is not satisfying. A man might spend his life in trains and restaurants and know nothing of humanity at the end. To know, one must be an actor as well as a spectator. New Updates! (4/18/2019) We've been working really hard on completing our membership system so you can submit quotes and keep track of them. Once this is complete in the coming weeks there will be a lot more quotes by Aldous Huxley and other authors. We've also changed the sorting on the site so you now see the latest Aldous Huxley quotes first. 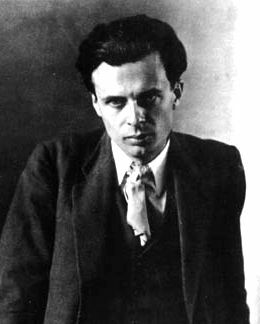 Our goal is to have the best Aldous Huxley quotes on the web!